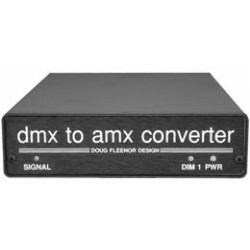 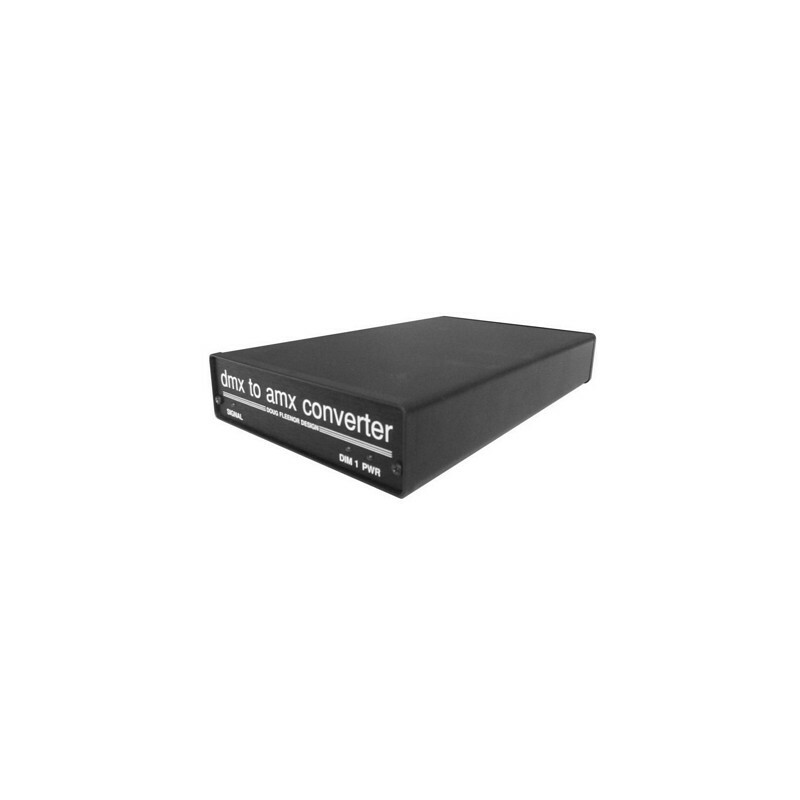 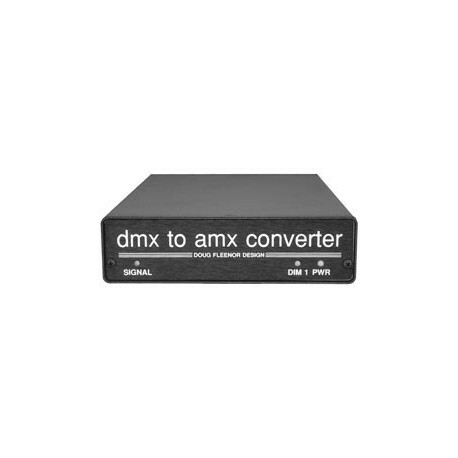 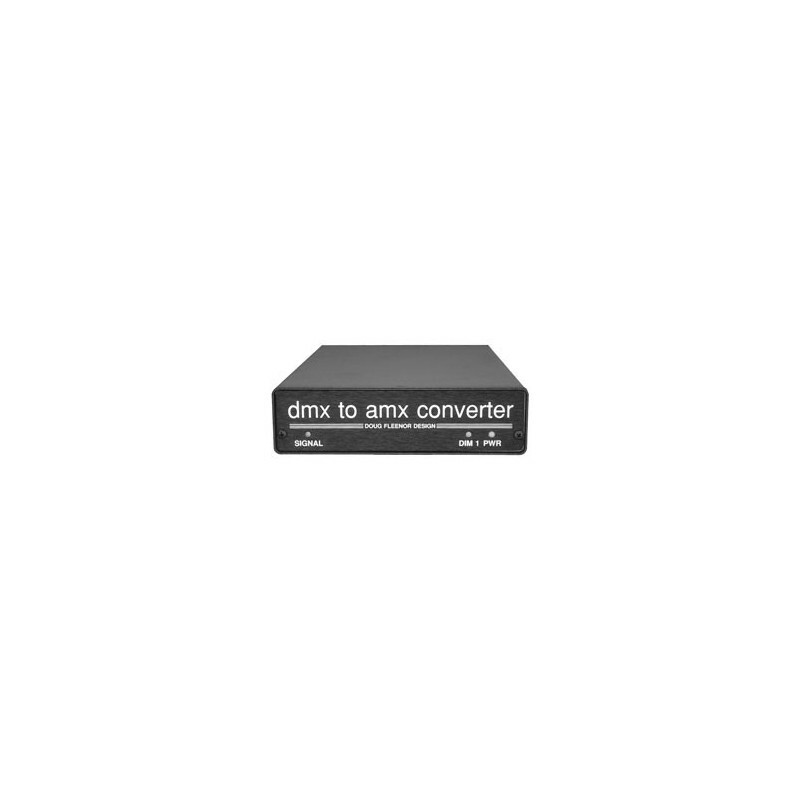 The DMX to AMX Converter handles the problems of two DMX inputs covering one AMX output and CD-80 6K/12K modules without gaps in the DMX numbering. 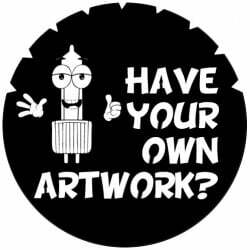 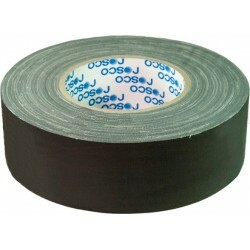 Color: Black front, back, top, and sides. 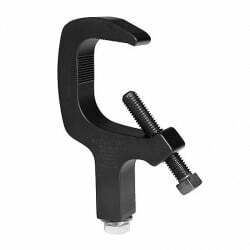 Clear iridite aluminum bottom.